Each year, we are amazed and humbled by the holiday season and all of the joy that it brings. We are so grateful for our family, friends, and customers who have helped make the 2017 holiday season so special! We had a great time kicking off the holiday season with friends and family to benefit the St. Francis Foundation. Thank you to everyone who joined us and to Borghese Wines for the delicious reds and whites. The event was a great time and a big success! Here at Alesci’s, we love sharing our Italian food and traditions with our customers just as much as we do our own family, especially during the holiday season! This year, we prepared plenty of hot food such as traditional pasta and favorite pizzas and many holiday treats for families around Northeast Ohio who ordered from our catering menu. Our gift baskets were stocked with goodies and were a hit this year for gifting! We shared a few of our longtime holiday traditions this year, like celebrating the annual Feast of the Seven Fishes, making (and eating) pizzelles, and serving sweet panettone. We also showed off a few of our in-store gift options, including Italian Horn keychains and fun aprons. Our busiest day of the year, Christmas Eve, is always packed with energy and holiday spirit! On this special day, we opened our doors from 8:00 am – 2:00 pm and were overjoyed at the amount of customers who came through our doors! 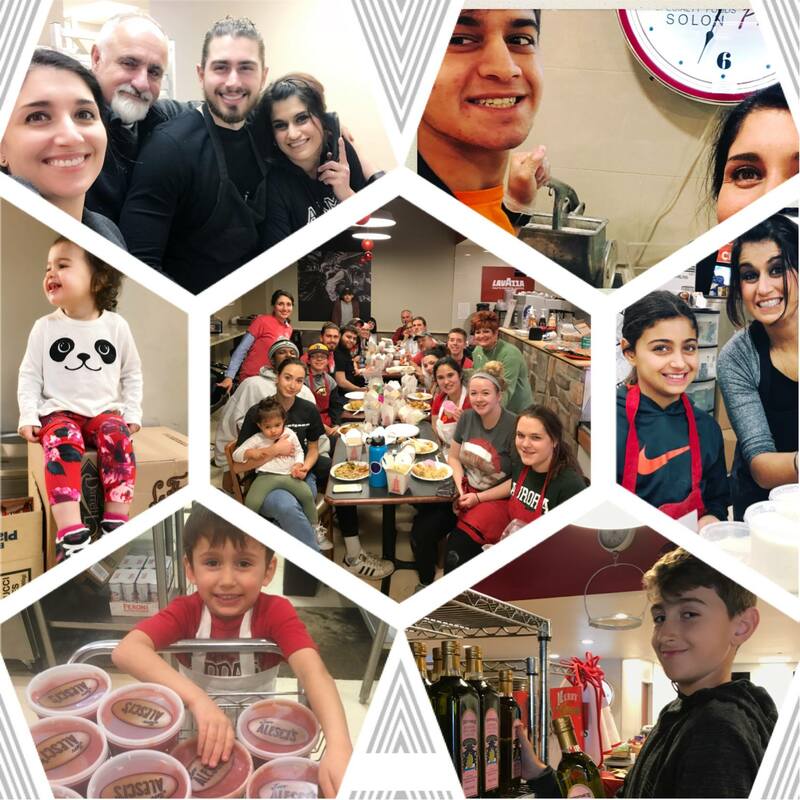 Here’s a look back at Christmas Eve 2017 – It is with so much gratitude that we are able to be a part of so many Christmases in the Cleveland area! 2017 was good to us, thanks to all of you! Here’s to a happy and healthy new year!